There’s nothing like an Aussie Christmas than the fresh scent of Summer mixed with a fragrance of fond memories and the savour of new ones. That’s how the following picture books will entice their readers, both young and old – with peace, unity and joy as we pleasure in the warmth of the festive and summery holiday season in Australia. 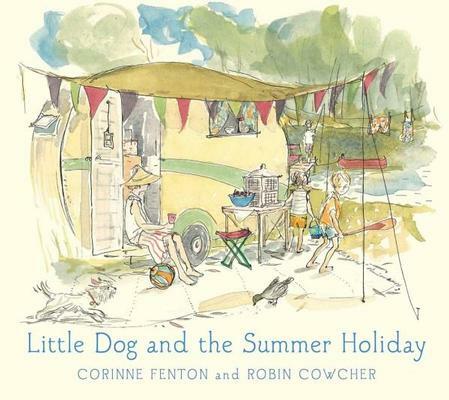 Corinne Fenton and Robin Cowcher return with another stunning ‘Little Dog’ story. From the iconic Melbourne in the previous, magical Christmas tale, Little Dog and the Summer Holiday takes Jonathan, Annie and their precious Westie, with caravan in tow, on holiday to the idyllic sites of Sydney. Immediately, Fenton paints a gloriously detailed adventure full of evocative language that is sure to bring about that nostalgic cue of wonderful family trips of yesteryear. Passing legendary landmarks such as the Dog on the Tuckerbox and Sydney Harbour Bridge, paddling at Bondi Beach and rattling “down the mountainside on the steepest scenic railway in the world” all make for an exciting, memorable holiday with family, friends, and of course, beloved pets. Cowcher’s whimsical illustrations add a pleasurable sense of romanticism that capture the beauty and evocation of holidays like this. Parents and children will equally delight in Little Dog and the Summer Holiday, either reminding of the good old days, or enthusing a predilection for future family vacations. 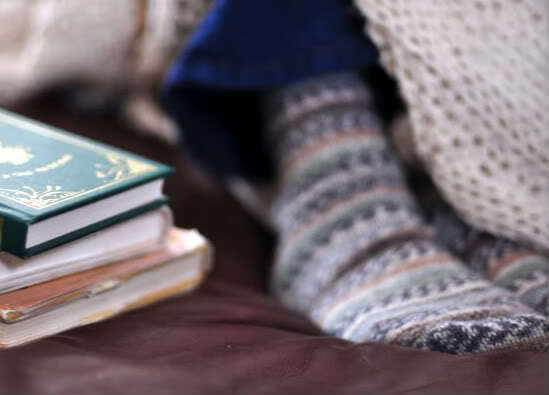 A beautiful book. Black Dog Books, Walker Books, November 2017. Summer – peaceful, tranquil, cheerful and contentment. Words that describe that special feeling of rest, fun and togetherness during the sunny season. 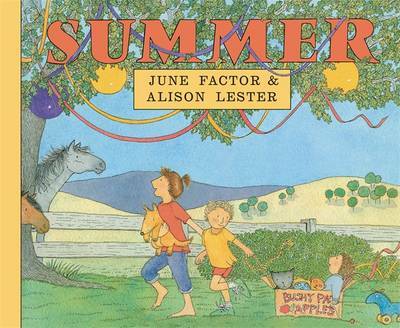 And words that describe the special feeling emanating from this book by June Factor and sublime creator Alison Lester. Thirty years in print and Summer still feels as good as a homemade steamin’ puddin’ on a balmy Christmas Day. Factor’s simple, silky and smooth Aussie voice shines through with robust rhyming character as we are swept up in a temperamental mix of family antics, Summer nuances and changing weather during the hot festive season. Lester’s legendary scenic art and winsome characters keep us occupied throughout with all the glorious combinations of farmyard outlooks and high-spirited busyness, respectively. From flies a gatherin’ to early morning rises, kin gatherin’ and present opening, pork a cracklin’ and raising glasses, clouds gatherin’ and making a bolt for cover, and finally napping and playing ‘til the stars are gatherin’ in the night sky. Summer is a book of leisure, affection and ambience that will remain a classic to treasure and indulge in all the year round. Viking Penguin Random House, November 2016. First edition 1987.